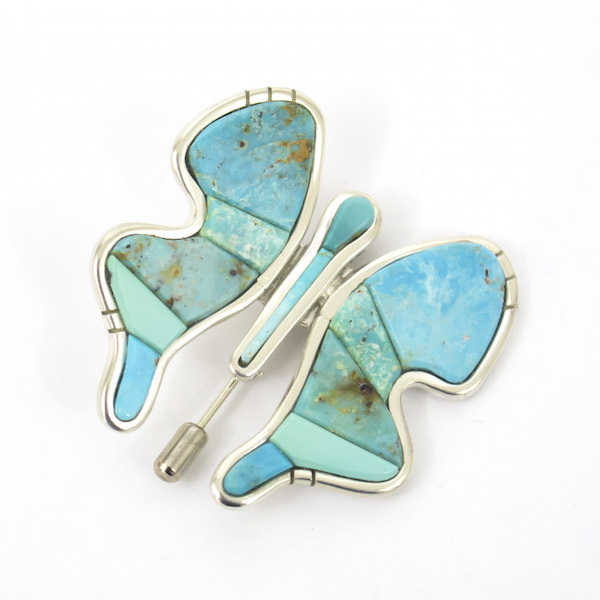 This husband and wife team collaborates on their jewelry. They and their children live in Taos, Cassandra’s home pueblo. Both have been active jewelers since 1997. Michael (Hopi/Yaqui) was educated at the Institute of American Indian Art and the University of New Mexico. He learned the jeweler’s art from his father Na Na Ping, a prize-winning contemporary jeweler. 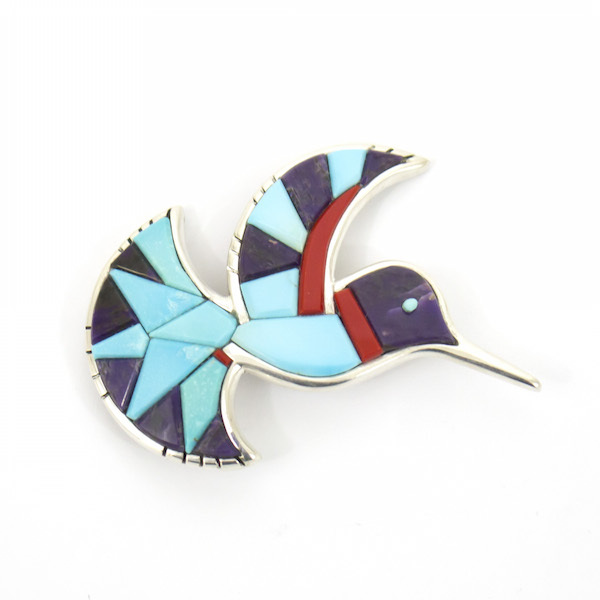 Cassandra studied at UNM and in jewelry classes at Poeh Arts Program. She was further taught by her husband and father-in-law. The Dukepoos’ jewelry is contemporary in style and usually features banded mosaic gemstones in simple, elegant silver settings. Their pieces are hallmarked with their name.